This will turn non salad lovers into believers. 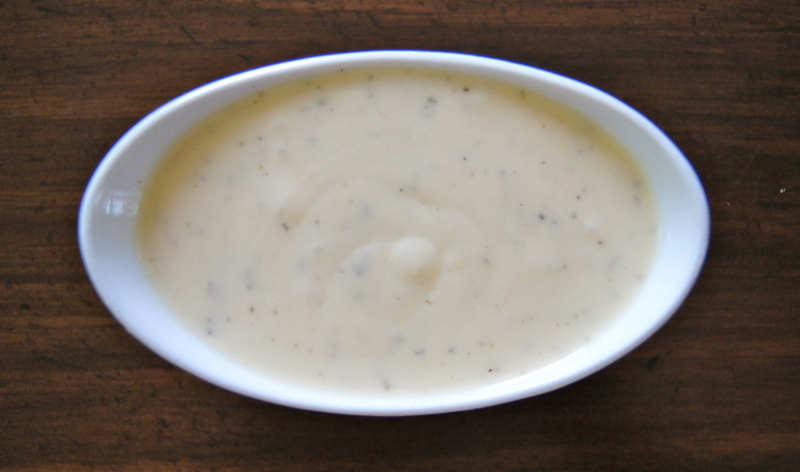 It’s tangy, cheesy, creamy and light; use it for green salads, pasta salads, veggie dip and more. My favorite way to serve it? 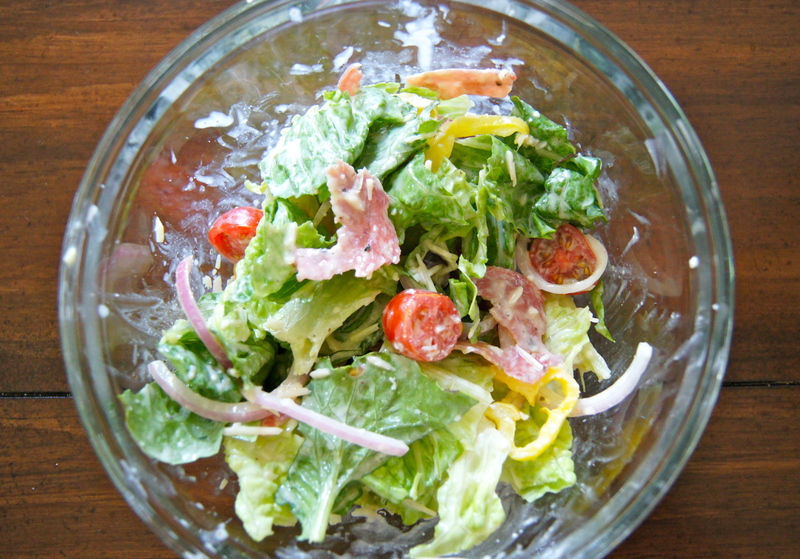 Drizzled on a salad of romaine, tomato, banana peppers, salami, red onion, black olives and shredded parmesan. Num. Combine all ingredients except for olive oil in a food processor or blender. Blend for one minute or until all ingredients are mixed well and garlic is completely broken down. Stream in olive oil and blend until combined. Store in the fridge for up to one week.